Teacher’s Comments: A nice shirt for aesthetically adventurous golfers. 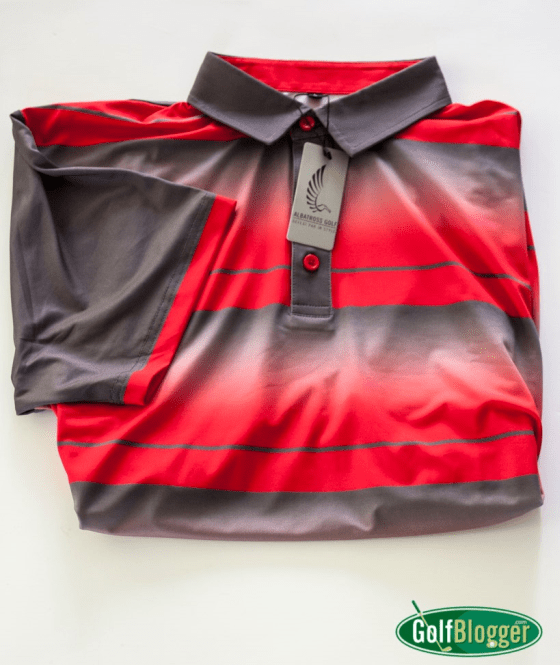 Albatross Golf Wear is new to the golf apparel scene, but has managed to field an impressive catalog. Their shirts are both stylish and comfortable. The two shirts Albatross sent for play testing were the Crimson Triumph and the Midnight Fade. They are, as far as I can tell, the same shirt in different color schemes. 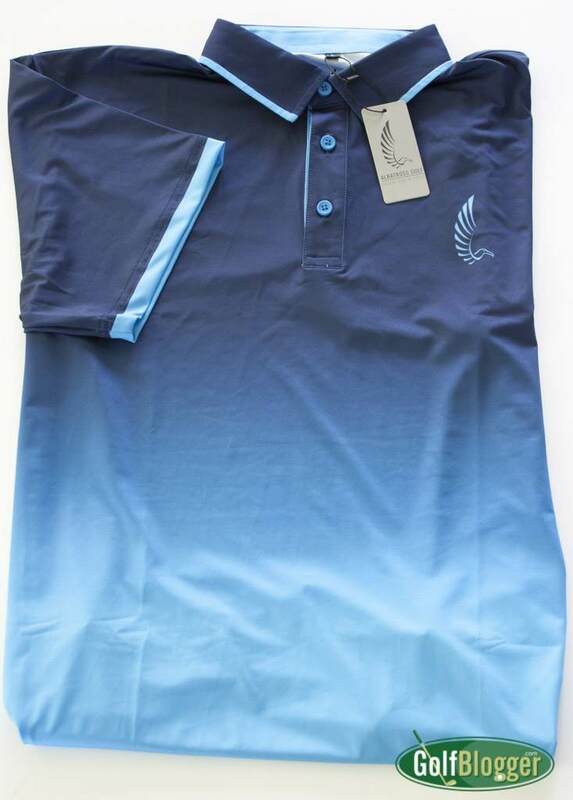 Both of the shirts are roomy enough for a golf swing, but with the added advantage of significant stretch. As you turn, the shirt yields through the shoulders to allow full movement. I liked the feel. The Albatross shirts are made of a 90% Polyester / 10% Spandex blend. The fabric also is designed to be moisture wicking and antibacterial. The basic “engineering” of these shirts is solid, so the only real question is whether the color schemes fit your style. They are, in fact, quite vibrant.